This is a photograph that has been shot with a Yashica Electro 35 CC and Agfa Vista 200 film, in Rethymno, Greece. It is 09:40 and I find myself at the Chania International Airport getting ready to board a plane to Athens. This week, I will be there for work. I have lots of meetings and presentations I have to attend for my day job. I don’t know if I will have any time to shoot in the versatile, colourful streets of the Greek capital. I will try, but it is highly unlikely. I am travelling extra light this time, so I have only got my Ricoh GR with me. My Fujifilm X-Pro-1 is at home, waiting for me. The airport isn’t very busy but still it has annoying distractions that will not allow me to write. So, I have fired up my music device, which also happens to be my mobile phone and I am listening to “Blackstar”, David Bowie’s last album. Today, I am sharing with you a photograph I made after quite a few attempts, around 1.5 years ago. 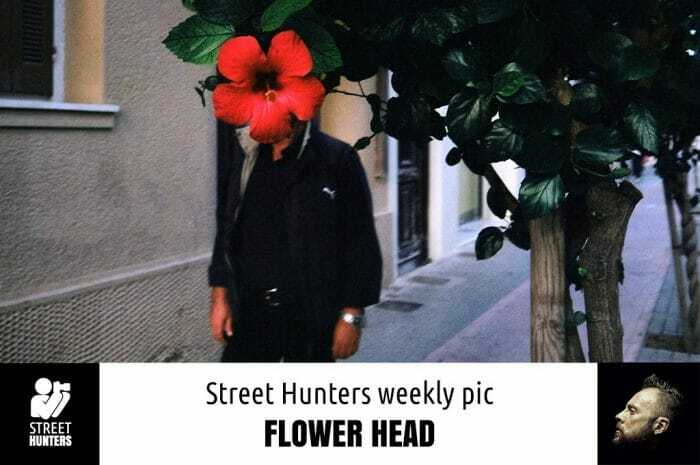 I remember walking in the streets of the town I live in, which is Rethymno in Crete, and accidentally seeing people with flower heads all around me. 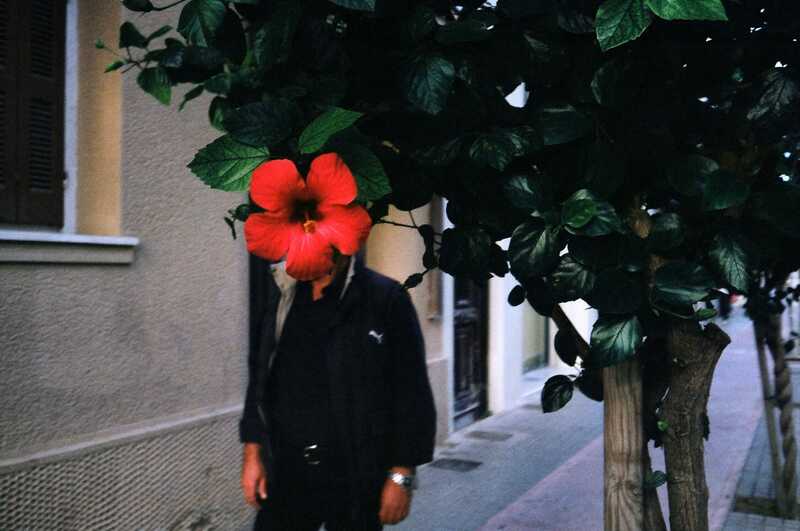 What I saw was passers-by as they momentarily walked behind these big flowers that were blooming on trees in the streets everywhere around that time. I knew then that I had to snap and freeze one of these “flower heads”. At the time I had my Yashica Electro 35 CC with me. The Yashica is a rangefinder camera, so there is a parallax effect when looking through the viewfinder and so I knew that even if I aligned my camera, I might miss the moment. I took about 5-6 photos trying to get it right, if I remember correctly. It was a good thing I did shoot many frames because only one was exactly aligned (person – flower – my lens). The others were slightly off. I thought I had got them all, but as it turns out I hadn’t. I couldn’t help think at that time, that if I had a digital mirrorless camera with an EVF or a DSLR, I would have probably nailed the shot in one or maybe two tries, but in reality I didn’t mind, it made the making of the photograph more exciting.